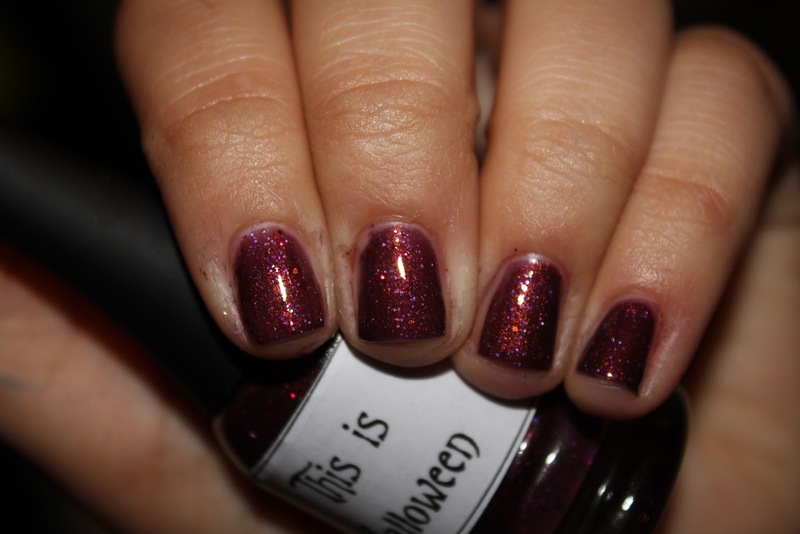 See Sarah Swatch: Happy Halloween! So at the time that I'm writing this, Halloween in Jersey might be postponed... Crazy storm, messes everything up! But I do have a Halloween mani to show you today:] It's not nail art, but it's what I had in the vaults, so you get to see the beautiful This is Halloween from LynBDesigns! 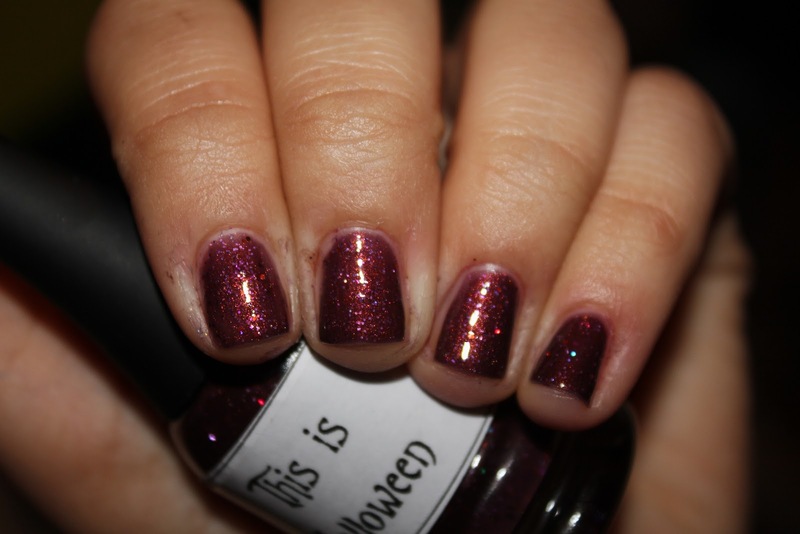 The listing says "A gorgeous deep purple base with copper colored duochrome. 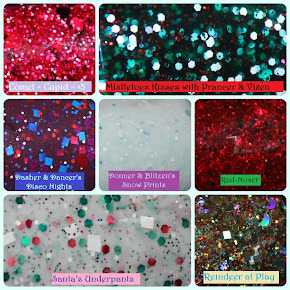 It's loaded with purple and orange smaller glitters". But seriously, emphasis on the GORGEOUS!! I am in love with this one. The colors go really really well together, & I really love that coppery shimmer in there. Ugh! Just stunning. I got a few of these polishes, & I can't wait to show you the rest! Happy Halloween! This is lovely! I Make it Rain Leaves!